LONDON, April 12, 2018 /PRNewswire/ -- Interventional Cardiology Review (ICR) confirms it has been accepted for indexing on PubMed Central and PubMed. 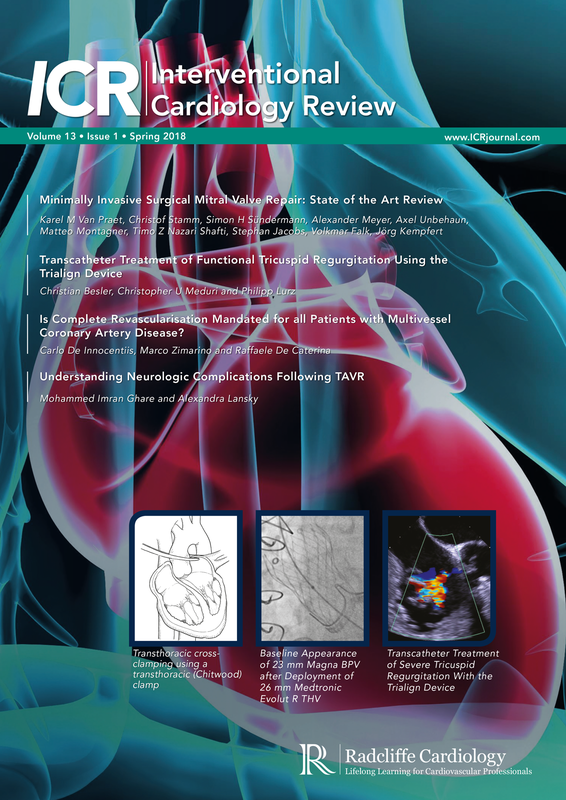 All articles published under Radcliffe Cardiology's ownership from volumes 8.1 (2013) to 13.1 (2018) are now available in full on this important index, providing greater exposure and scientific validation for the journal and providing greater access for our authors' articles amongst the global cardiology community. Dr Simon Kennon, is an Interventional Cardiologist and Head of Structural Heart Disease and the Transcatheter Aortic Valve Implantation Programme at the London Chest Hospital, Barts Health NHS Trust, London. Editor in Chief, Dr Simon Kennon says, "I am delighted to add Interventional Cardiology Review (ICR) to Radcliffe Cardiology's journal collection on PubMed and hope this addition helps to serve the wider research community." ICR provides access to expert opinion and clinical literature reviews through independent, peer-reviewed articles. The journal is led by Editor in Chief, Dr Simon Kennon and is supported by Section Editors, Dr Angela Hoye and Dr Darren Mylotte, as well as an editorial board of world renowned experts. ICR is the third Radcliffe Cardiology title to be indexed on Pubmed joining Arrhythmia & Electrophysiology Review and Cardiac Failure Review. For further details please visit: www.icrjournal.com or contact managing Editor: info@radcliffe-group.com.